Introducing the R ockabye Baby Lullaby Renditions of Blink 182 CD. Rockabye Baby transforms rock favorites into beautiful instrumental lullabies. Guitars and drums are traded for xylophones and bells, and the volume is turned down from an eleven to a two. Tonight, the cradle will rock. The Rockabye Baby Lullaby Renditions of Blur features lullaby renditions of: Tender, Song 2, Girls & Boys, Coffee & TV... and more! The Rockabye Baby Lullaby Renditions of Maroon 5 CD features lullaby renditions of: Moves Like Jagger, This Love, She Will Be Loved... and more! 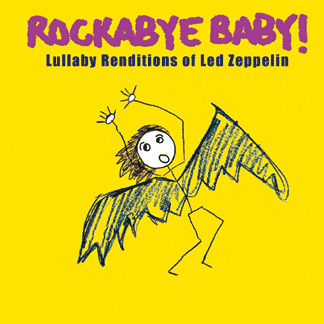 The Rockabye Baby Lullaby Renditions of Muse features lullaby renditions of: Uprising, Knights of Cydonia, Supermassive Black Hole, Starlight... and more! Introducing the Rockabye Baby Lullaby Renditions of Taylor Swift CD . 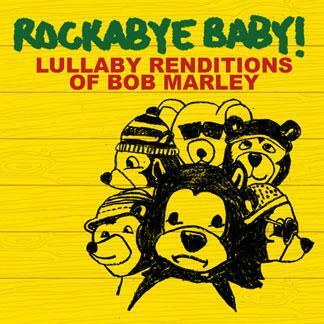 Rockabye Baby transforms rock favorites into beautiful instrumental lullabies. Guitars and drums are traded for xylophones and bells, and the volume is turned down from an eleven to a two. Tonight, the cradle will rock.